As it's been such a long time, I thought I'd share my current favourites, a my favourites in my go-to collections. Grab a drink of choice, it's a long one. 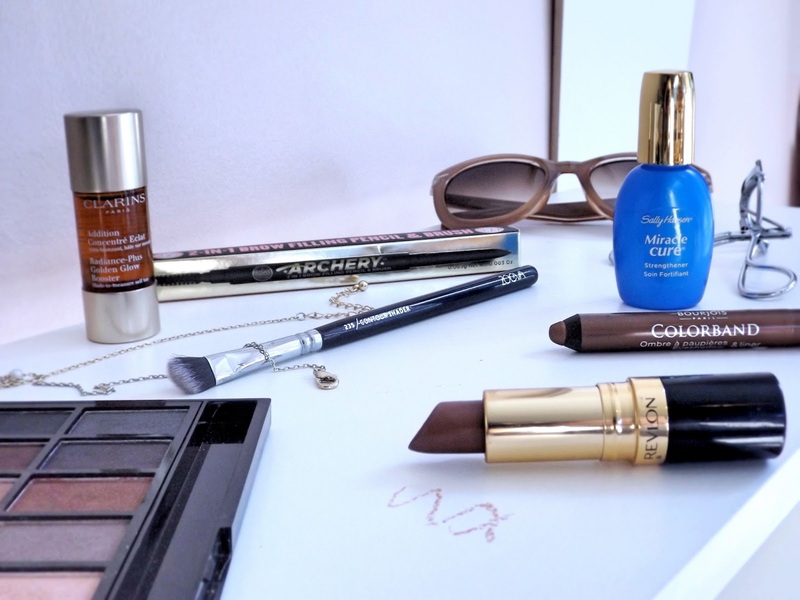 For us lazy gals and those short on time, I present to you Bourjois Colorband eyeshadow pencil in the shade 'Brun Dadaiste'. This for me tops Maybelline Color Tattoo as the formula is less slippery, giving you more control when blending with a brush. I use it both solo as well as a base for eyeshadows - really keeps everything put, even with my oily lids! Makeup Revolution Salvation Palette. For me, the perfect all rounder. Quality pigmented mattes and shimmers with little fall out, and not to mention the shades! 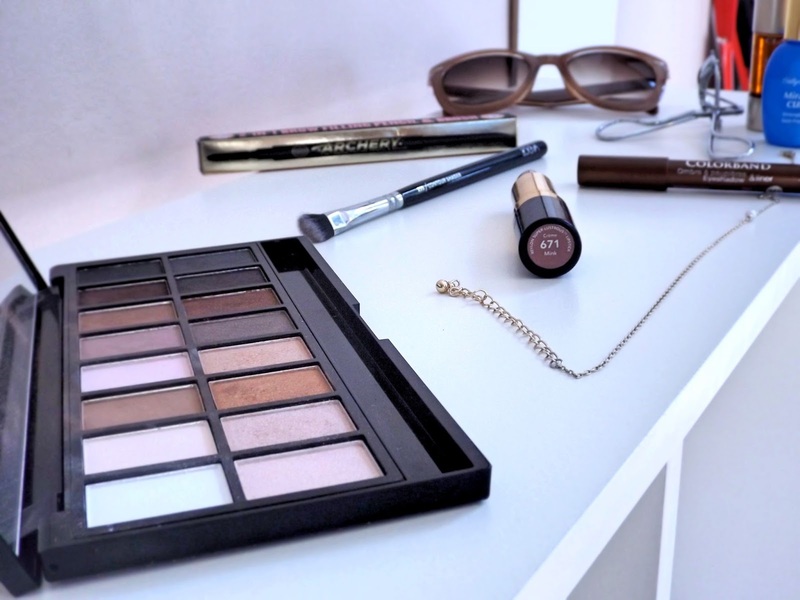 This beauty is more in favour of the warm shades, which suit me far more - from nudes to the smoky makes it the perfect all-in-one palette. I couldn't get my blending on without the Zoeva Contour Shader brush. So dense yet so soft, this synthetic number is affordable yet packs a punch. Fits perfectly into the contour of my eye and blends everything like a dream. Highly recommend. Whether or not I'm sporting a full face of the good stuff, I feel naked without acknowledging the brows. Naturally, my brows are sparse, a dark ashy shade and have a tendency to get out of control. They need all the help they can get. I can safely say I have found my holy grail product in Soap and Glory's Archery brow pencil featuring the tiniest nib, ideal for replicating individual hairs and keeping it natural whilst defining them with great precision. I have two back-ups of this product in the shade 'Hot Chocolate' as the thought of running is enough to break me out into a cold sweat. Sporting a baby face, I'm one of those where my look isn't complete without a lippie; it simply matures my vibe. Maybe my all time favourite shade: Revlon's Lustrous Lipstick in 'Mink'. I'm a devoted fan of 90s make-up and this might just be the lipstick to epitomise that wonderful era. Fairs pretty brown on me, and although pretty opaque, it can be built up. Suits me down to a tee and I wouldn't change a thing about it. Blot it down for a slightly matter appearance. As for skincare or where my base is concerned, I find it difficult to imagine myself not reaching for Clarins Radiance-Plus Glow Booster during my evening routine. It really is worth the hype. If you cringe at the price tag, fear not - it provides serious value for money. I use 1-2 drops every other night and my first bottle lasted me 13 months. No lie. This gem really does provide a glow from within and a warmth that's simply healthy and radiant. Last but no means least - nail care. After opting only for the oh-so amazing gel polish manicures for 6 months, my nails could no longer take the beating from the acetone removal. They were weak, brittle and flimsy - I needed an antidote quickly and luckily found refuge with Sally Hansen Miracle Cure. Did exactly what it says on the bottle - within a week I had my healthy strong nails again. I use before every manicure and it acts as a great base coat too. 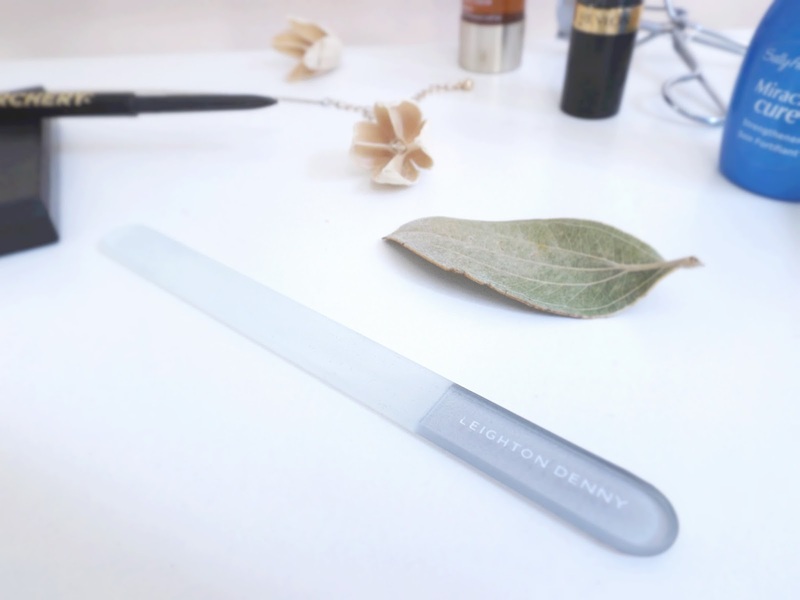 Although my nail rejuvenation wasn't a sole effort - an investment earlier this year in the Leighton Denny Crystal nail file was certainly worthwhile. This lifetime guaranteed product files nails like nothing else - provides you with the smoothest edges and prevents any further splitting or catching. Worth. Every. Penny. Have you tried any of these? I'd love to know your favourites.